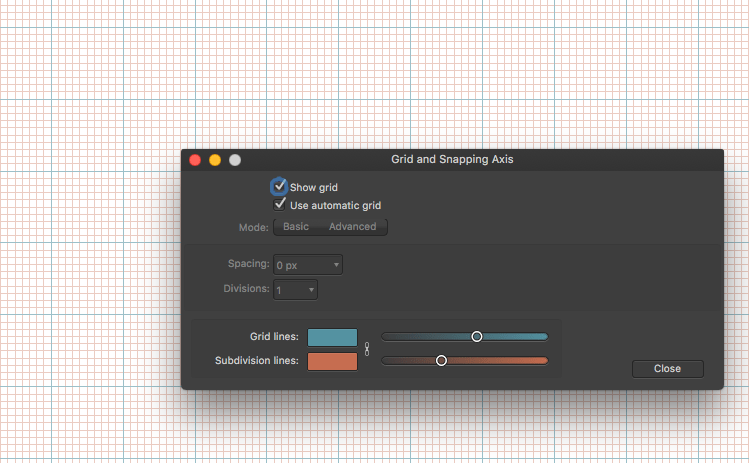 Currently it's not possible to change the color or opacity of the grid. This is being worked on and should be available later as a free update. this is a year later, I feel the same way about the opacity of grids not being adjustable, so has it gotten any closer to being implemented. This is already available in Affinity Designer/Photo 1.5 Beta (changing grid colours and opacity for both main and subdivisions separately). It will be available in the next Mac App Store update as soon as the Beta phase finishes. "This is already available in Affinity Designer/Photo 1.5 Beta"